Evorel is a patch used in hormone replacement therapy. Evorel Conti is a continuous combined treatment; whereas Evorel Sequi is a cyclical course. We know that collecting your repeat medication in person isn’t always convenient. Our express consultation and prescription service is here to make life easier. Evorel Conti patches contain 3.2mg of estradiol and 11.2mg of norethisterone, which are released into the body at a rate of 50 and 170 micrograms per day, respectively. Evorel Sequi is a cyclical course, containing two types of patch: Conti, as described above; and Evorel 50, which contains 3.2mg of estradiol only. Evorel is a transdermal patch used in hormone replacement therapy, to relieve symptoms associated with the menopause. It is a combined form of treatment, containing synthetically-engineered versions of oestrogen and progesterone. There are two forms of this product, both of which are made by Janssen. Evorel Conti is a continuous course where each patch contains the same dose; whereas Evorel Sequi is a sequential form of therapy where doses are phased into the body in cyclical amounts. For both versions, a patch is applied to the body, then replaced every three to four days. The menopause is a natural process which most commonly occurs in a woman’s life between the ages of 45 and 55; the NHS puts the average age at which someone undergoes the menopause at 51. However, some women may experience it later, or as early as in their 30s. It involves a series of changes in the body, specifically in the reproductive system. Ovulation, the process by which an egg is released by the ovaries, stops; and the growth and subsequent shedding of the uterine wall lining (which results in periodic bleeding) also decelerates, before ceasing altogether. As the menopause approaches, hormone levels in the body can fluctuate. A drop in oestrogen can cause various symptoms, which might take on the form of vaginal dryness, headaches, hot flushes, and mood swings. Many women may find that these effects are mild, and do not pose a serious issue. But others may experience these symptoms to a more severe extent; and in those cases where a person feels that their quality of life is being adversely affected, treatment may be recommended. Hormone replacement therapy comes in a variety of forms. The type you use depends on which stage of the menopause you’re undergoing, and whether or not you’ve undergone surgery to remove the womb. Those who have not had surgery and are experiencing the earlier stages of the menopause (for example, those who still have bleeding) will typically be issued with sequential combined HRT. This is available from our UK pharmacy in the form of Evorel Sequi. Those women who have not had an operation to remove the womb but are in the postmenopausal stages are more likely to be issued with continuous combined HRT, such as Evorel Conti. The active ingredients in these products are estradiol (a form of oestrogen) and norethisterone (a version of progesterone). Estradiol reduces symptoms by supplementing decreased quantities of oestrogen; whereas norethisterone is provided as a balancing agent to keep oestrogen levels from rising beyond a certain point, and reducing the risk of endometrial cancer. Please note that at present, we only provide Evorel Conti to buy online through our pharmacy service, on a renewal basis. If you need to renew your prescription for Evorel Sequi, we recommend you do so through your own GP. Renewing your prescription and buying Evorel online has never been more simple. Just choose your item, and fill in our health assessment. Once complete, your case will be reviewed by one of our team of qualified healthcare professionals. Following approval, your items will be dispensed by our UK-based pharmacy, and our courier partners will ship your order by special delivery. Before using Evorel, make sure you have read and understood the directions issued by your doctor, as well as the guidelines set out by the manufacturer in the patient information leaflet. This will help you to maximise the effectiveness of the treatment, and limit the possibility of any adverse effects. This will be one patch, replaced every three to four days (so that you apply two per week). Replacements should be made on the same days each week. A memory pack will be provided, to enable you to keep track of your treatment. On this, you should mark your allocated replacement days (for instance Monday and Thursday, or Tuesday and Friday, and so on). Evorel Conti is a continuous course, supplied in packs of eight patches of the same type. Evorel Sequi is a sequential course, and each pack contains four Evorel 50 patches (applied for the first two weeks of your period), and four Evorel Conti patches (applied for the second two weeks). Please note, this version is not available through our site. Make sure when administering Evorel that you do so to a clean, hairless, intact area of skin. Do not place it on an irritated region, or on top of a cut or a spot. It should also not be positioned anywhere where it may rub against clothing, such as directly beneath the waistband. Do not apply a replacement to the exact same area of skin as your last one. Use a fresh area of skin each time. If you forget to replace it at the scheduled time or if your patch falls off, consult the leaflet for advice. If you need any further assistance, ask your doctor or pharmacist. This is only a summary of the directions you should follow when administering this product. Please refer to the more detailed guidelines in the patient information leaflet before use. Please take the time to familiarise yourself with the side effects this product may cause before you use it. If you notice any signs of the following, you should seek medical attention as a matter of urgency: a blood clot; an allergic reaction; a heart attack or a stroke; liver problems such as jaundice; a migraine; a change in blood pressure; convulsions; or breast, cervical or ovarian cancer. More information on what these signs look like can be located in the leaflet supplied with the product. Irritation the area where the patch has been used. Hypersensitivity, sleeping problems, depression or anxiety, headache, palpitations, varicose veins, breast pain, feeling or being sick, hot flushes, diarrhoea, breast pain, back or joint pain, vaginal discharge, irregular menstrual bleed, painful periods, fluid retention, tiredness or weight gain. Thrush, loss of libido, flatulence, itching, rash, swelling in the hands and feet, or muscular pain. The information provided here is only a summary. More comprehensive information can be located in the patient information leaflet. It may not be safe to use this HRT administration in conjunction with other treatments. Evorel may interact with or be affected by the following: phenobarbital, phenytoin, carbamazepine, lamotrigine or other epilepsy drugs; rifampicin, rifabutin, nevirapine, efavirenz, ritonavir or nelfinavir; bosentan; or St. John’s Wort. The use of this item is not suitable for those with a history of: breast cancer or any cancer which is sensitive to oestrogens; untreated thickening of the womb lining; vaginal bleeding which has not been explained; a blood clot or any condition which puts you at increased risk of developing one; any arterial problem which resulted in angina, a heart attack or a stroke; liver disease from which you have not yet recovered; or porphyria. Your doctor also needs to know if you have or have ever had: gallstones; migraines; a condition or risk factor which increases your chances of cancer; fibroids; rapid or sudden swelling which could cause difficulty swallowing or breathing; endometriosis; endometrial hyperplasia; high blood pressure; diabetes; systemic lupus erythematosus; epilepsy; asthma; liver, heart or kidney problems; high levels of triglycerides in the blood; or breast problems. It is very important that you have regular check-up consultations with your GP to make sure this treatment is performing as it should. These will need to take place at least once per year. There is more information on HRT and how it can affect cancer risk in the supplied leaflet. This therapy should not be used during pregnancy or breastfeeding. If you become pregnant, stop taking this pill and see your GP. No observations on how this medication affects driving and machine use capacity have been made. Yes. Alcohol is not likely to affect the way this product works. Yes. Your capacity to drive should remain unaffected. However, if you notice any side effects which could make driving unsafe, you should avoid doing so and let your doctor know immediately. Those who are pregnant, suspect that they are pregnant or are trying for a baby should not use this treatment. It is also not suitable for use if you are breastfeeding. This item should not be stored above 25°C. It should also be kept in a safe place away from excessive sources of light or moisture. Evorel patches contain the following: estradiol hemihydrate, norethisterone acetate, duro-Tak 387-2287, guar gum and Hostaphan MN19. Do not use them if you are allergic to any composing ingredients. You can only buy Evorel Conti and Evorel Sequi from pharmacies the UK if you have a prescription. If are looking to renew your Evorel Conti prescription online, take our confidential questionnaire. One of our practising doctors will review your case and issue a prescription if appropriate. We do not provide Evorel Sequi through our service at this time. Please speak to your own GP to renew your prescription for this treatment. Your GP will help you find out which HRT is the most suitable for you during a face-to-face consultation, and issue a prescription. Getting your medication through our repeat service is simple. As soon as you have completed our short medical assessment, your responses will be examined by our GP. 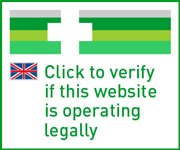 Following confirmation of your order, our UK-registered pharmacy will dispense your order. Medications are shipped by our express delivery partners in secure packaging. How can I get the pill online?